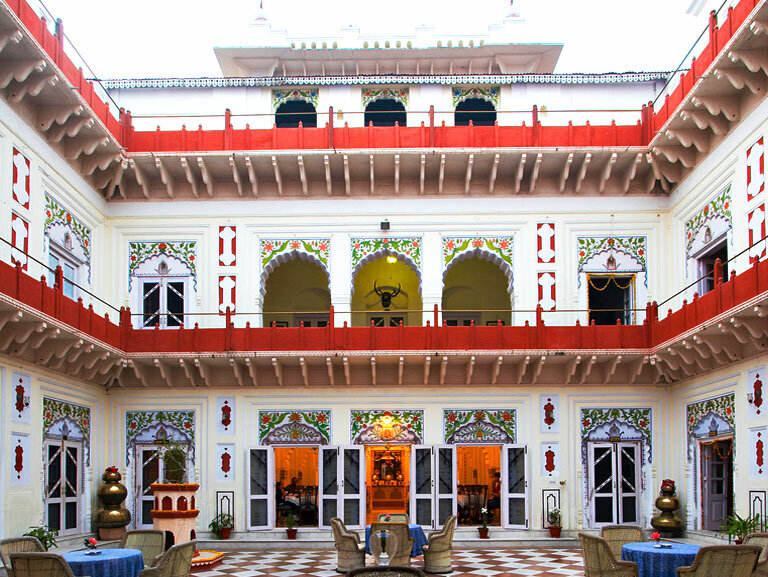 A blend of royalty and heritage, the Laxmi Vilas Palace bring to you one of the most luxe stay in Rajasthan. Laxmi Vilas Palace bring to you a place with alluring architectural details, A-one hospitality services, and eye-catching natural beauty. One can choose accommodation according to their preference and enjoy a scrumptious meal at the restaurant along with a drink at Shikar Bar. Get an insight of the things at Laxmi Vilas Palace. A reflection of Indian heritage- The Laxmi Vilas Palace is a delight in a small town of Bharatpur with sprawling gardens and lovely courtyards. Enjoy a lovely evening with your friends and family in the beautiful courtyard and a cup of tea. Spend some quality time chatting with your friends and family in the courtyard. Make yourself comfortable, take a glass of wine, enjoy scrumptious snacks and enjoy the bonfire during winters. Spend your summer vacation with your family in the Laxmi Vilas Palace with world class services and hospitality. Cycling tour to the Keoladeo National Park is a main attraction at Laxmi Vilas Palace. The national park is a home to over 350 species of birds and is declared a World Heritage site. 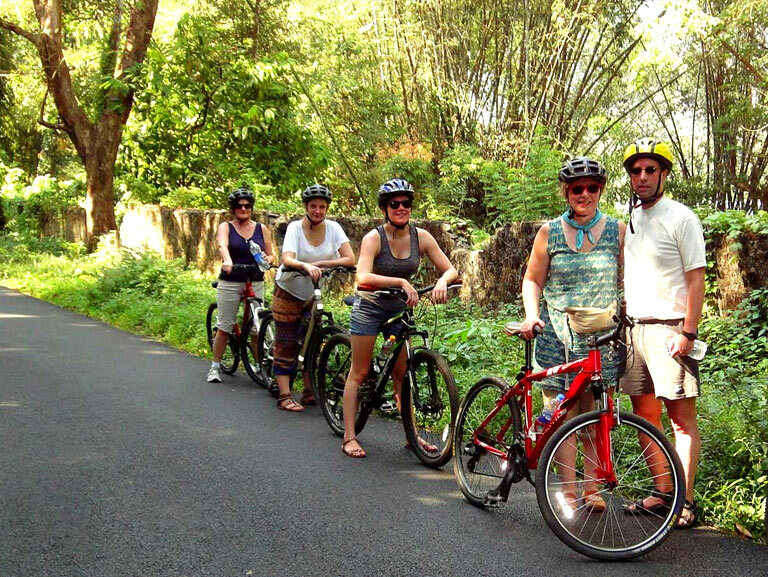 The cycling tour would give you a peek into the wildlife of Bharatpur. A tour guide accompanies the group of cyclists to get detailed information about the species! Retreat yourself and play a game of pool with your favorite drinks. Spend some leisure time at the table while making some new acquaintances. 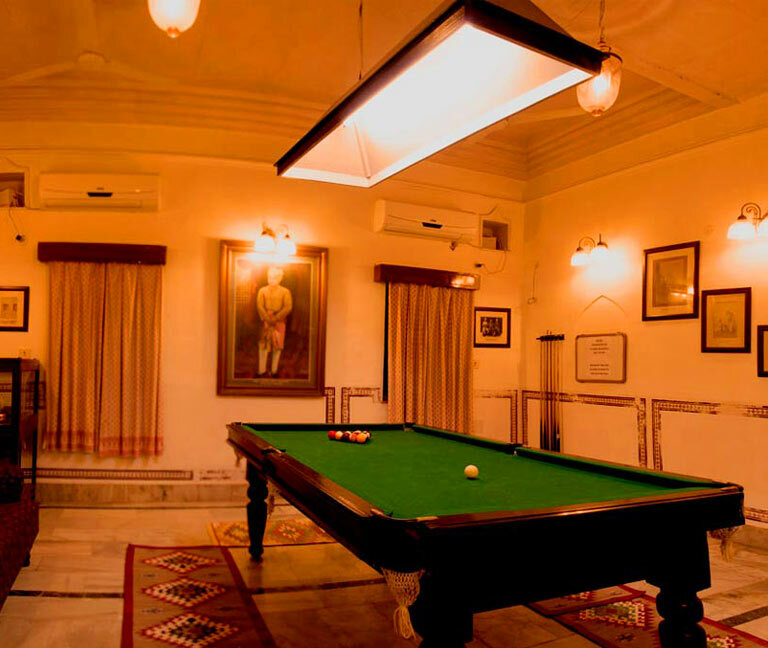 The pool tables are located near the bar which makes it accessible and a great place to spend the leisure time. Also, it would be a great place to make some new connections. The Billiard room is an adaptable space suitable for meetings and entertaining in lavish surroundings. Give yourself a break from the regular things and sink into the luxury of the Laxmi Vilas Palace. 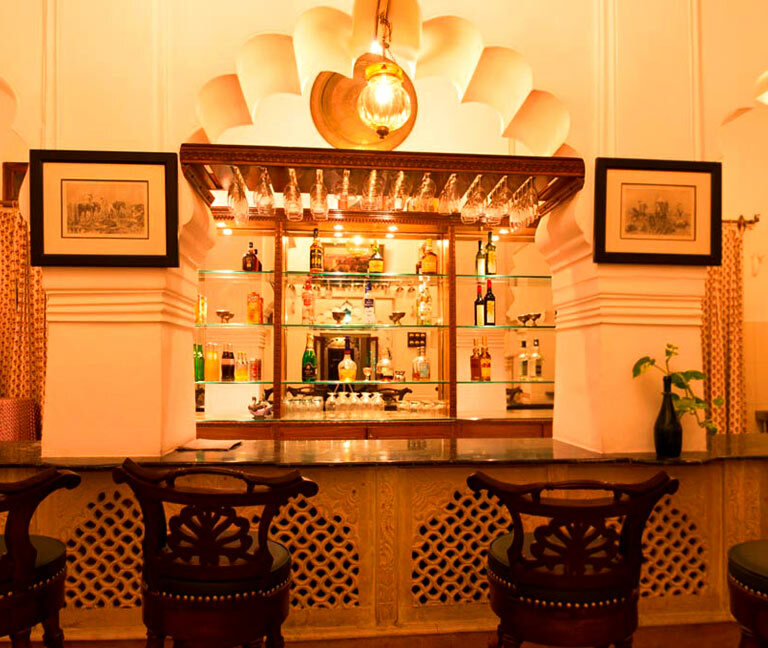 The spectacular bar at the Laxmi Vilas Palace is definitely a place to relax integrating colors and energy of Rajasthan. The stocked bar is perfect to spend an evening with an eclectic mix of drinks such as spirits stirred with flavored juice. The bar serves innovative cocktails, a wide range of spirits and refreshing beers. The luxurious bar has a very edgy feel, owing to its royal architecture and ambient lighting. Set along the perimeter of the hotel, it offers you the option of facing the courtyard or sparkling pool. Enjoy some of the city’s most interesting drinks and quick bites. Our intimate and stylish massage room features two couples' treatment rooms. Conceived as a sheltering cocoon and using organic products, our massage room is an absolute sensory experience dedicated to pampering you in the most natural way possible. The physical link between body and soul influences our treatments as does the healing powers of the therapist's sharing of energy. 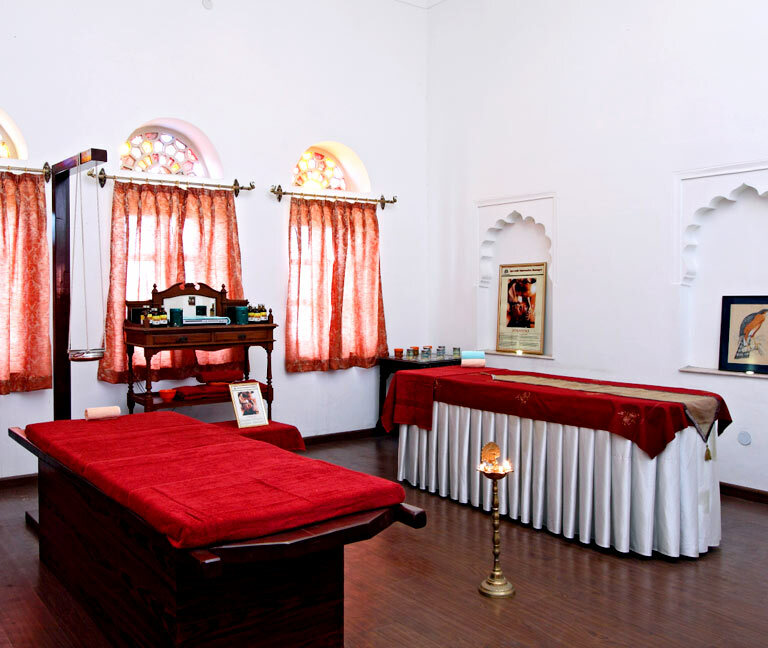 Highly skilled therapists perform traditional Kerala Ayurvedic Massage and essential oil massages, deep tissue, facials and energizing reflexology. We warmly recommend treatments to be booked in advance. 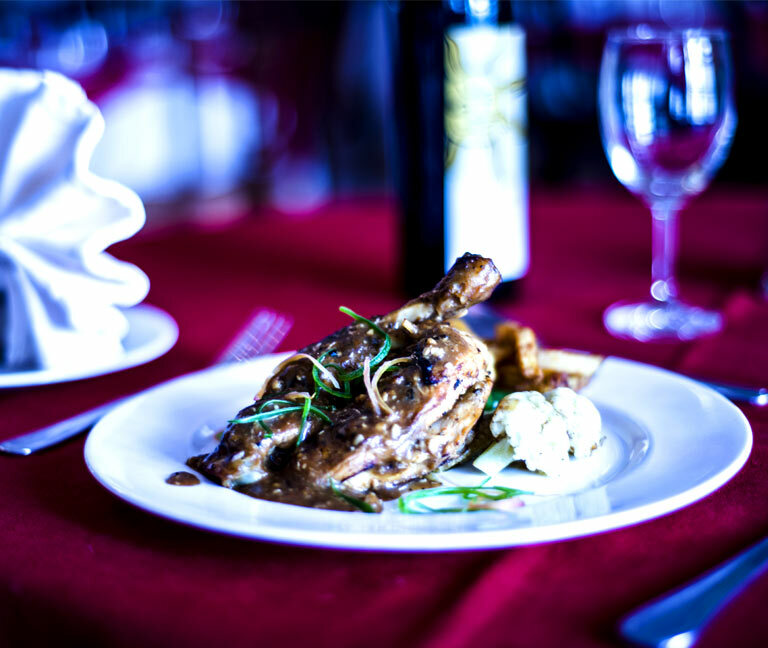 Laxmi Vilas Palace offers Group lunch services to the travelers who do not plan to stay overnight in Bharatpur. People who plan to go to Jaipur via Agra are welcomed to join us at Laxmi Vilas Palace for buffet. Different cuisines are offered at the buffet for the travelers with the best of service and hospitality. Dive into the pure summer bliss by pool in Laxmi Vilas Palace. Plan or celebrate the summer while sipping on your favorite drinks near the swimming pool. Give your kids a chance to plan and enjoy themselves. Relax by the poolside, spend your leisure time, and take a break from your daily hectic schedule. Souvenir shops are meant to make your trip memorable. At Laxmi Vilas Palace, guests can take home a piece of the place. 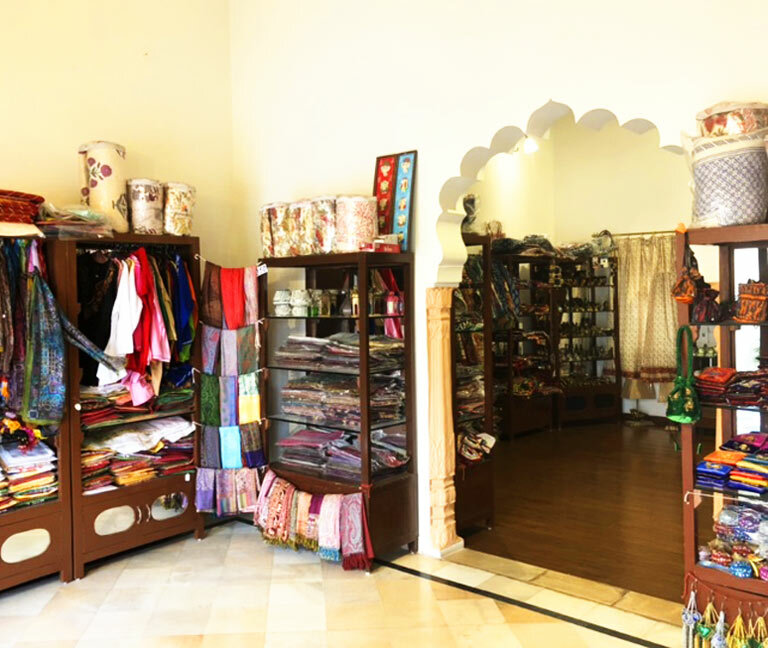 The souvenir shop offers a variety of traditional and historic souvenirs including antiques, bags, accessories, jackets, and other memorabilia. One can also buy things for their loved ones from the souvenir shop. Jewelry, scarves, accessories would make a perfect girl for your close ones. 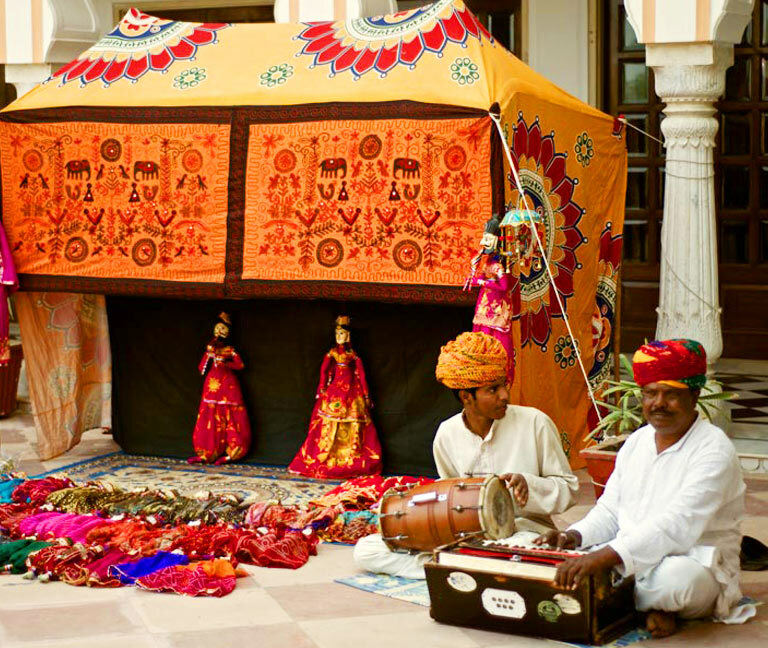 The puppet show is an integral part of Rajasthani folklore. 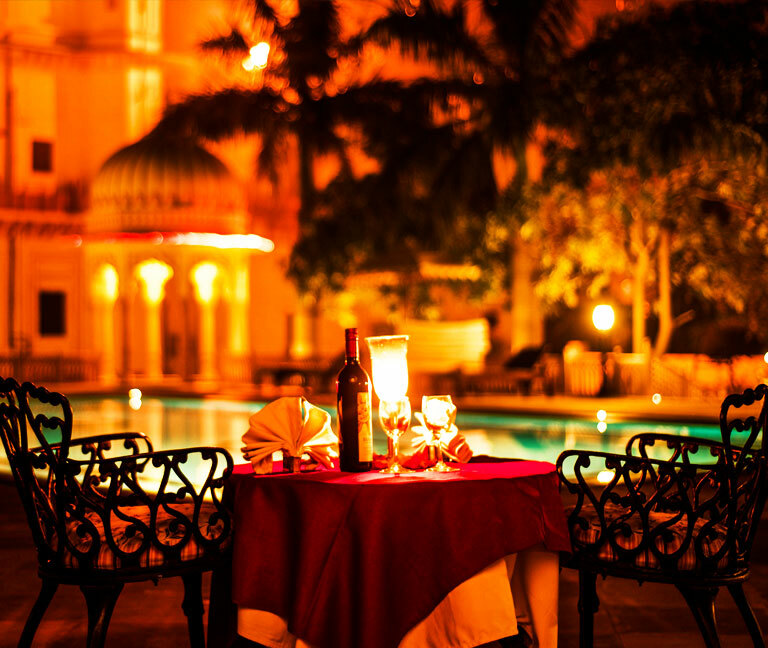 One can enjoy it every evening at Laxmi Niwas Palace. The characters depict the heroes of Indian folklore. They also make good souvenirs to take back home. In fact, it would be an appropriate show for kids’ entertainment. Enjoy the vibrant colors and heroic stories of royals.